Replacing aged and oversized 4,800 gpm dry pit solids-handling influent pumps with modern, efficient immersible screw impeller pumps. Reconfiguring existing oversized influent channels to improve scour velocities, reduce odors and corrosion, repair existing degraded concrete, and facilitate installation of two new parallel bar screens. Completely rebuilding the grit dewatering facility and modifying primary clarifiers to address corrosion and performance issues. Updating the facility’s SCADA system to enhance monitoring and control of the treatment process. 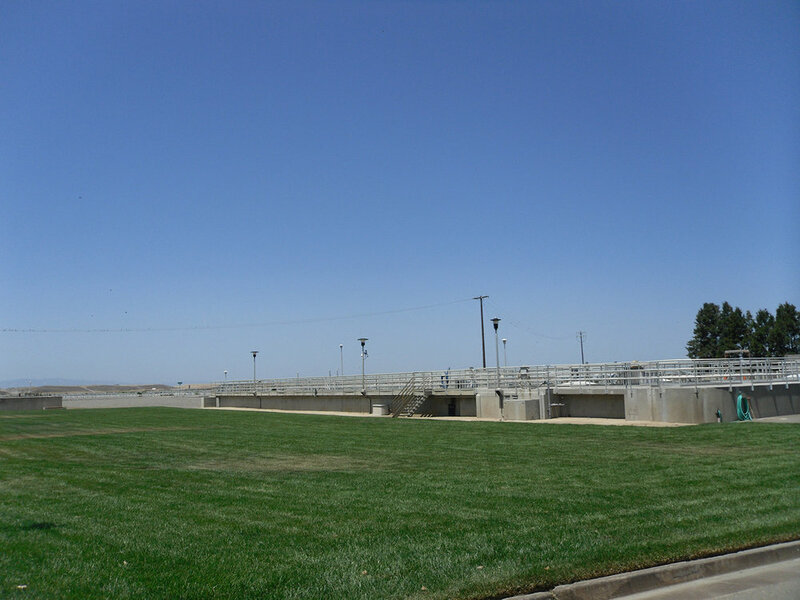 HydroScience then went on to provide process design, coordination, and commissioning assistance as part of a design-build (DB) team for the construction of $70M of secondary and tertiary wastewater treatment improvements. The upgrade increased treatment capacity to 18 MGD and brought the plant into compliance with discharge regulations. The project included design and construction of activated sludge secondary treatment facilities (aeration and clarification), tertiary disc filters, chlorine disinfection, post-aeration, effluent pumping, flood control facilities, and a new administration building. Construction is scheduled to be completed in spring of 2017. HydroScience was responsible for the chlorine contact basin, chemical mixers, chlorine residual monitors, utility water systems, effluent reaeration system, and field instrumentation. It also played leading roles on commissioning and process transitioning, as well as support for plant tie-ins and owner coordination. The DB team was able to cost-effectively design and construct a reliable WWTP upgrade that will meet upcoming regulations and be flexible for future regulations while remaining operator-friendly, operationally efficient, and environmentally sustainable.